Ray-Ban Aviator Flat Metal 58 Eyesize sunglasses take us back to an iconic classic, originally designed for the U.S. military fighter pilot in 1937. This reinterpreted timeless classic has laser cut metal, which ensures a precise, thin, and lightweight frame. The Aviator Flat Metal 58 Eyesize is a modern twist on an all time classic that will look great in every situation. 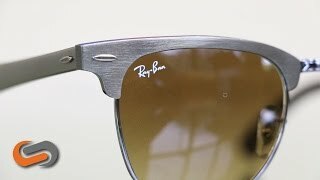 For optimal vision and exceptional style, get yourself a pair of Ray-Ban Aviator Flat Metal 58 eyesize prescription sunglasses.